The closer the date of transportation of Azerbaijani gas to Europe via Southern Gas Corridor, the more attention is paid to this energy project. Azerbaijani gas is crucial for Montenegro’s economic security, Dragica Sekulić, Montenegro’s Minister of Economy, told balkanist.net. “Montenegro’s interest in SOCAR is focused around our activities in the field of gasification, and the implementation of Ionian-Adriatic Gas Projection (IAP). Those two investments, which are part of the Southern Gas Corridor, are crucial to Montenegro’s economic security,” she said, Trend reports. Sekulić noted that Montenegro’s aim is to diversify as well as improve the security and reliability of the country’s energy supply. 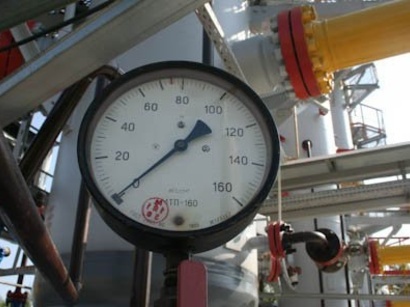 Montenegro will receive Azerbaijani gas through the Ionian Adriatic Pipeline (IAP) that is expected to be connected to the Trans Adriatic Pipeline (TAP), the European leg of the Southern Gas Corridor. IAP is a proposed natural gas pipeline in Southeastern Europe (SEE) that will stretch from Albania through Montenegro, and Bosnia and Herzegovina, to Split in Croatia. The capacity of the pipeline will amount to five billion cubic meters of gas per year. In 2013, a mutual memorandum of understanding on construction of Trans-Adriatic and Ion-Adriatic gas lines were signed among Azerbaijan, Montenegro, Albania, Croatia, Bosnia and Herzegovina, as well as a memorandum of understanding on South Gas Corridor and South-East European Corridor projects were signed among Azerbaijan, Albania, Croatia and Montenegro. The Southern Gas Corridor, $ 40 billion worth project, envisages the transportation of 10 billion cubic meters of gas to Turkey and Europe through the pipeline, which will be operated within the second stage of the Shah Deniz gas condensate field project in the Azerbaijani sector of the Caspian Sea. Gas produced within Shah Deniz Stage 2 will be transported from the Caspian Sea to Europe, through Italy, Georgia, Turkey, Greece, Bulgaria, Albania and the seabed of the Adriatic Sea. The Southern Gas Corridor consists of four projects: Shah Deniz 2, Expansion of South Caucasus Pipeline (Baku-Tbilisi-Erzurum), the Trans Anatolian Pipeline (TANAP) and Trans Adriatic Pipeline (TAP). Perhaps this is one of the most ambitious projects in the world of oil and gas industry, as well as a complex target that involves a large number of different stakeholders - including seven governments and 11 companies. On May 29, Baku hosted the launch of the first phase of the Southern Gas Corridor project, and on June 12, the opening ceremony of the TANAP took place in the Turkish province of Eskisehir. Thus, the first gas from the Azerbaijani Shah Deniz field has already gone through the first segment of the Southern Gas Corridor - from the Sangachal terminal to the expanded South Caucasus Pipeline. Montenegro eyes to further expand cooperation with Azerbaijan in the energy sector. Montenegro is interested in joint participation with Azerbaijan in renewable energy projects, particularly on the use of solar energy.